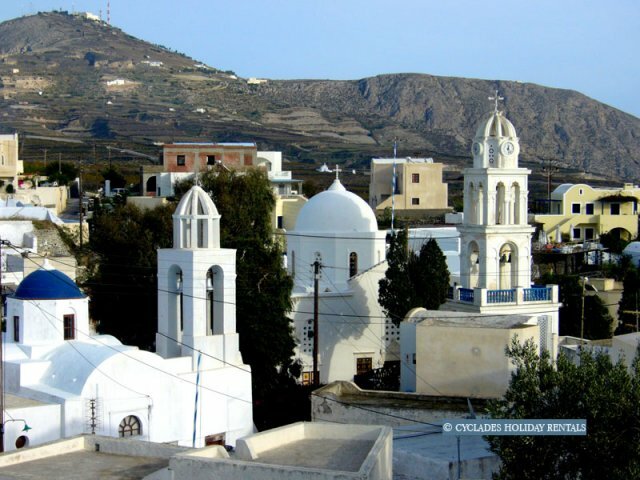 Names:-Thira(officially) -Thera-Kalliste (the most beautiful one) - Strongyle (the circular one). 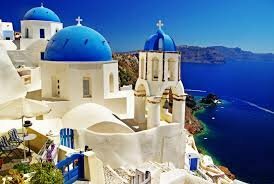 Last Eruption:- Jan.10,1950 to Feb.2,1950. 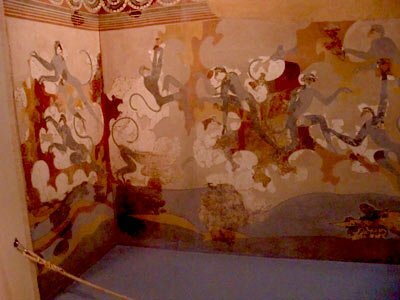 –The Great Earthquake:- july 1956. 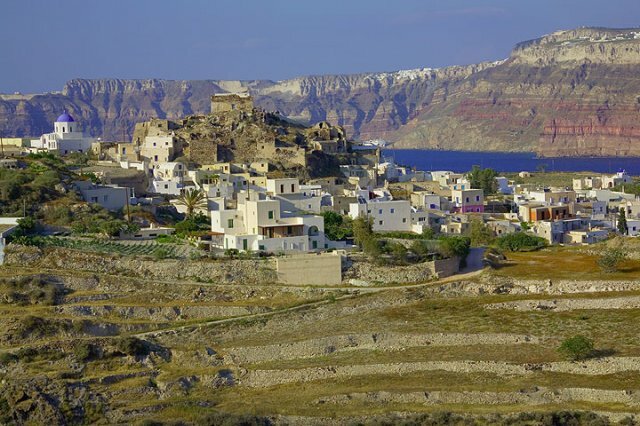 Santorini/Thira ( 75,8 km2 ) - Therasia ( 9,3 km2 ) - Nea Kameni ( 3,4 km2 ) - Palea Kameni ( 0,5 km2 ) - Aspronisi ( 0,1 km2 ). 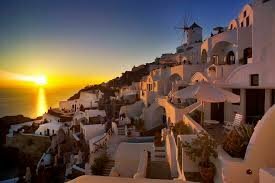 Santorini Caldera: - Spanish (caldera), Latin (caldaria) means cooking pot. 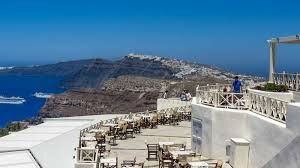 Caldera is a large crater formed by a volcanic explosion or a collapse caused by the emptying of the magma chamber(underground pool of liquid rock).the caldera measures about 12 by 7 km with 300 m high steep cliffs . 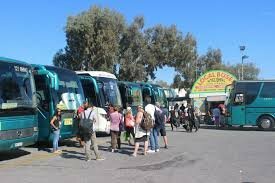 Athinios Port:- Ferry Boats- Boat Trips. 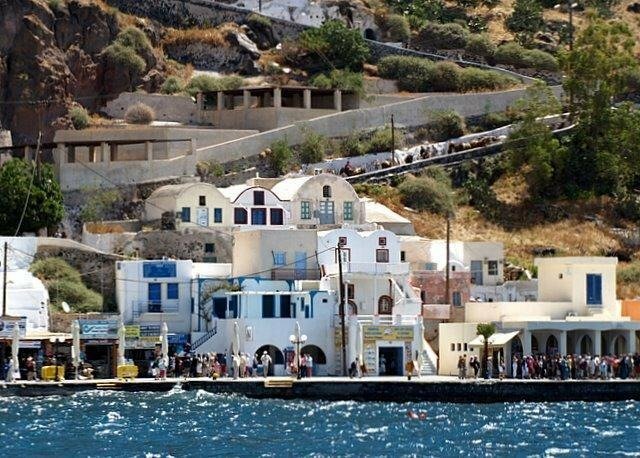 Old Port (Fira) :- Cruise Ships – Boat Trips. 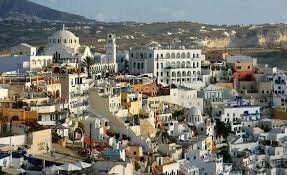 Amoudi and Armeni Ports (Oia) :- The arrival point of the traditional boat trips to reach Oia village to enjoy the amazing sunset. 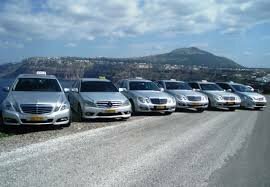 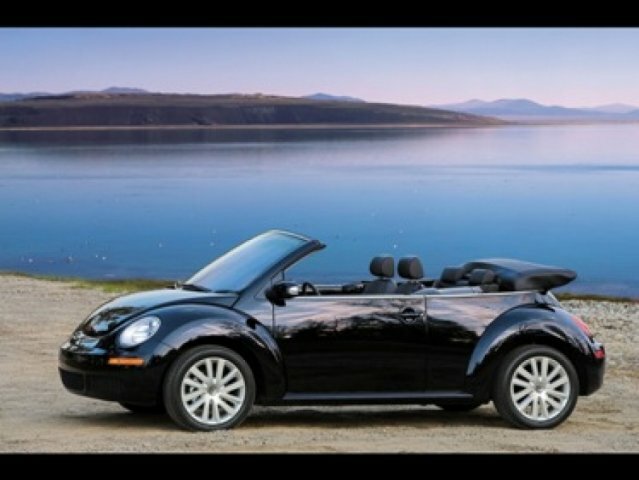 Rent a car: -Feel free and explore more. 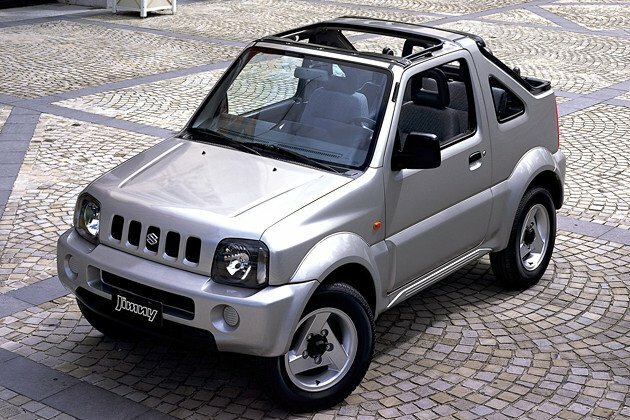 Easy to move and easy to drive. 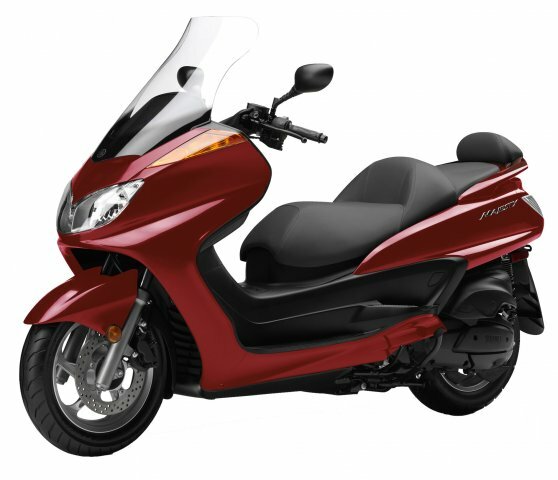 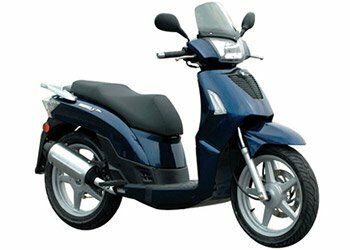 Rent a scooter or a bike: -Feel the adventure and have fun. 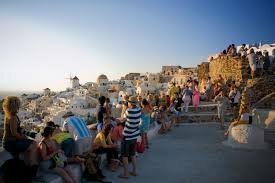 Santorini is not big island to explore . 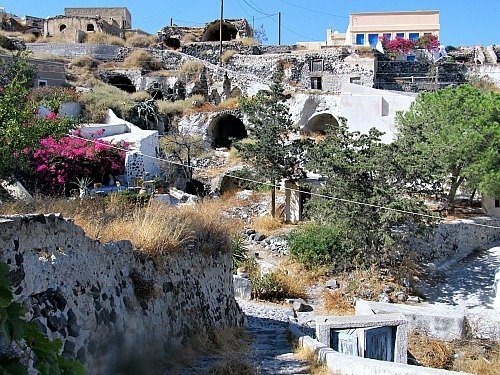 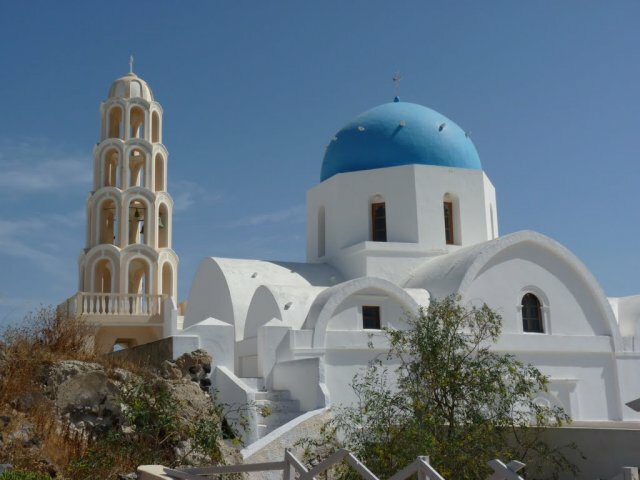 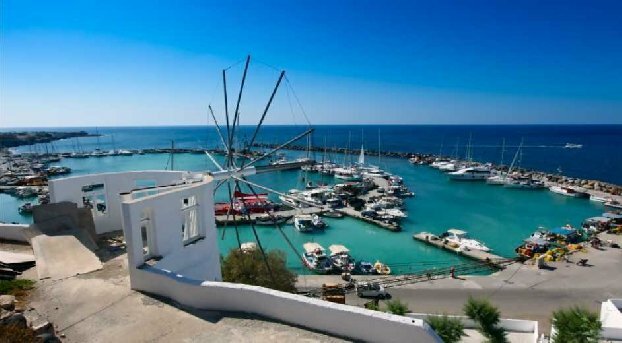 Walking and having a wander around the villages of Santorini , you will feel the spirit of Santorini life in the past, you can see the traditional white houses , castles, narrow streets, churches, old windmills, the walking path (Fira / Oia – Prissa / Ancient Thira – Akrotiri / Faros). 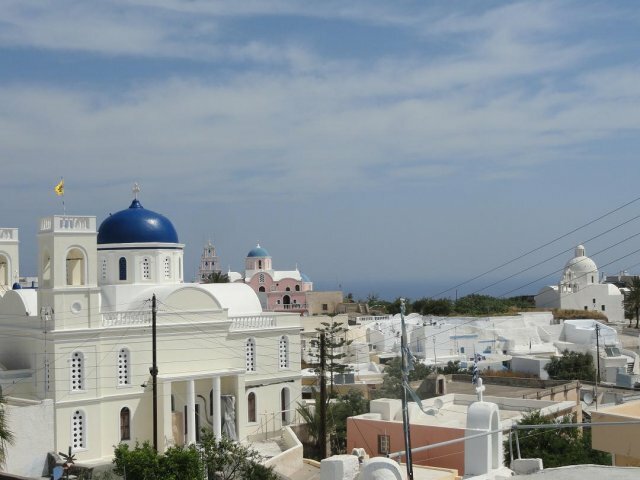 To know the real Santorini of the past, you need one thing , and one thing only: Be local , talk with the locals, know Santorini from the locals. 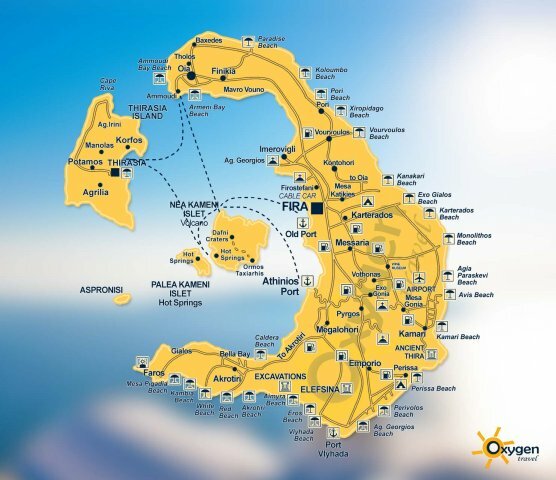 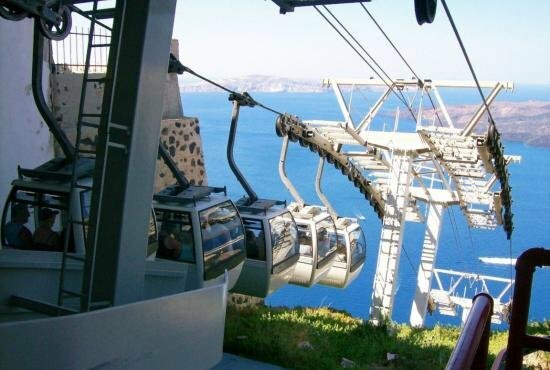 Fira (10 km/Athinios port-8 km/the Airport) :- Modern capital, the archeological and the prehistoric museums, old port, cable car, amazing sunset, night life. 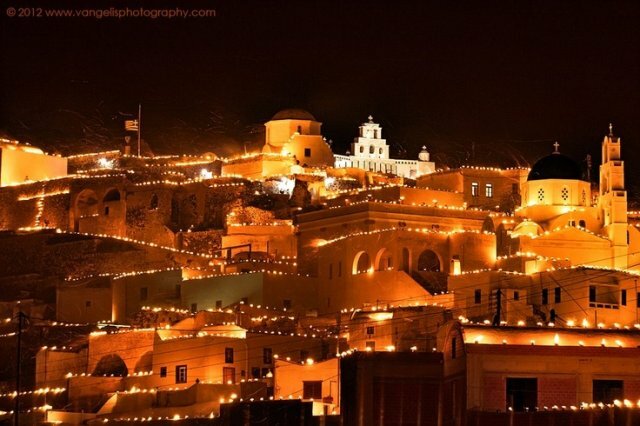 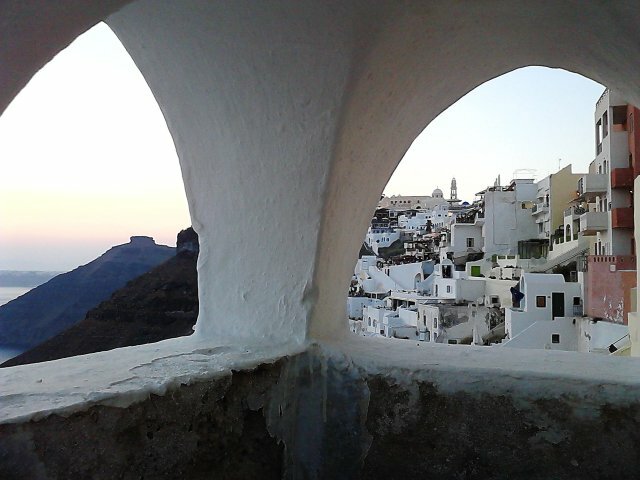 Firostefani ( 2 km/Fira):- Traditional houses-beautiful view and sunset. 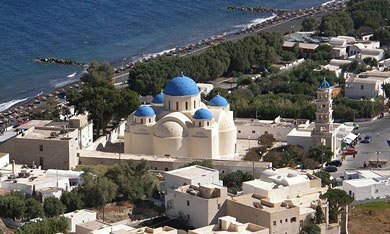 Pyrgos/Kallisti ( 6 km/Fira) :-Casteli (venetian castle)-highest village-former capital-Byzantine churches-the Monastery of Prophet Ilias (highest point-beautiful sunset) ,very impressive village with fantastic view. 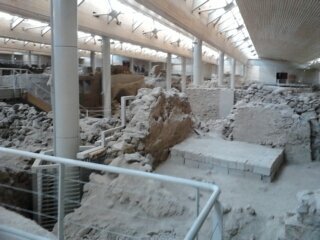 Akrotiri (10 km/Fira):-Minoan Bronze Age settlement-the ancient town is often compared to the spectacular Pompeii in Italy. 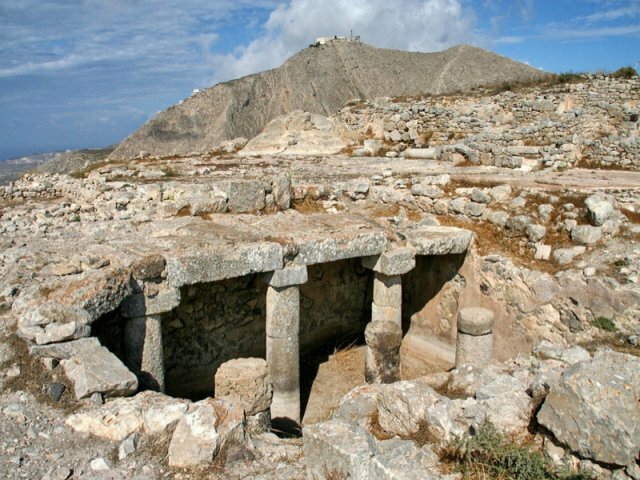 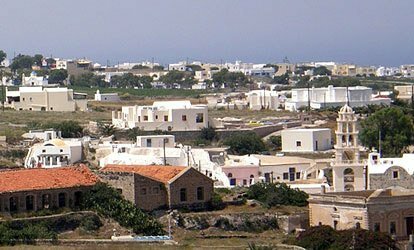 Ancient Thera (15 km/Perissa-11 km/Fira):- it is an antique city since the Minoan Bronze Age(Prehistoric).located on the ridge of Messavouno mountain. 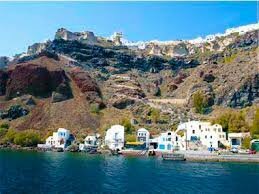 You can reach it from the both sides of the mountain by walking or by donkeys. 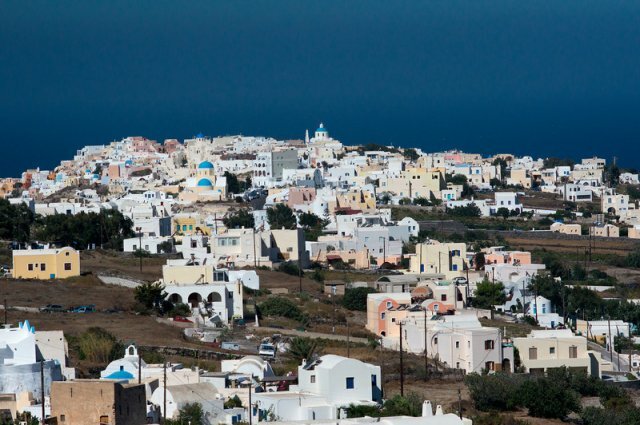 Kamari (10 km/Fira ) Black sandy beaches. 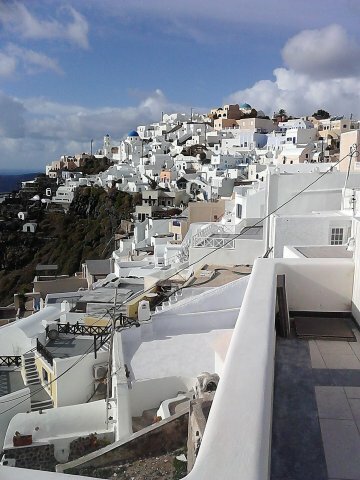 You are here: Home What do you know about Santorini?